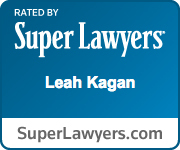 Leah Kagan is a trial attorney and shareholder at Simon Greenstone Panatier, PC. 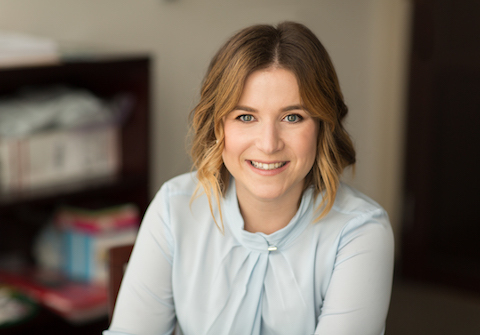 Leah joined the firm in 2015 focusing her practice on asbestos litigation, with an emphasis on cases involving exposures to talc and talcum powder products. Prior to joining SGP, in 2013, Leah jointly tried and successfully obtained a groundbreaking verdict in the first cosmetic talcum powder exposure case tried against the distributor of asbestos-containing talc to the Shulton Company, maker of Old Spice, in New Jersey. Leah has represented clients in cases involving toxic torts, business torts and products liability, as well as indigent individuals through The Legal Aid Society – Special Litigation Division in New York City. Leah is admitted to practice law in California, New York, and New Jersey and in the United States District Courts in California and New Jersey. She received her law degree from Rutgers School of Law in Camden, NJ, in 2009 and her Bachelor of Arts degree in History, with a minor in English, from the University of California, Los Angeles (UCLA) in 2006. Upon graduating from law school, Leah was named “Next Generation Leader” by The American Constitution Society for Law and Policy. She has been included on the New Jersey and Southern California Super Lawyers Rising Stars listings and selected to be part of the Super Lawyers 2017 Top Women Attorneys in Southern California. Leah has been an invited speaker at attorney seminars for both plaintiff and defense attorneys, with presentations addressing emerging issues in litigation involving talc and talcum powder. She is a member of The American Association for Justice, the American Constitution Society for Law and Policy, and a donor to the Animal Legal Defense Fund. Leah is also fluent in Russian. Description: Steve Kaenzig contracted peritoneal mesothelioma from exposure to talc used at the Shulton Company in manufacturing talcum powder products like Old Spice and Desert Flower. Steve’s Father, Wilfred Kaenzig, worked at the Shulton Company and brought home talc on his clothing and person, exposing Steve throughout his childhood. Plaintiffs proved that the talc Shulton received from its supplier, Whittaker, Clark & Daniels, Inc., contained asbestos and caused Steve Kaenzig’s cancer. This case was the first trial in the country to go to verdict for a cosmetic talcum powder product causing mesothelioma. Description: Peter Danysh, Frank DiTolvo, Sharon Durlester, Donald Green, Deborah Ann Ketchem, Rose Koshinsky, Patricia Lindsay, Virginia Stansley, Francis Swinick, Paul Troth, and Louise Upshaw contracted mesothelioma from exposure to asbestos supplied to the Johns-Manville Plant in Manville, New Jersey, by two foreign companies known as Eternit. These 11 plaintiffs and their families either worked at the Johns-Manville Plant or lived in Manville, New Jersey, where it would “snow” asbestos in the summer time. After a week long hearing, the Court awarded the families of these 11 plaintiffs compensation for the pain and suffering from the mesothelioma caused by their exposure to Eternit’s asbestos. Description: Dannielle Polakow contracted pleural mesothelioma from exposure to Cashmere Bouquet (a cosmetic talcum powder product made by Colgate), an After Bath Powder (a designer luxury brand talcum powder), and Jean Nate (a cosmetic talcum powder product made by Revlon). The designer luxury brand company was the only defendant to take the case to trial and settled with plaintiffs before the Corporate Representative testified. This case was the first case to go to trial against this designer luxury brand for a cosmetic talcum powder product causing mesothelioma. I typically meet clients during the most difficult time in their lives. My job is not only to fight for them in court, but also to support them through this complicated and emotionally taxing process.